Travelling is one of the most precious privileges people can have. That’s why when you’re on set for a trip, whether abroad or a simple out-of-town adventure, an exceptional preparation is a must. Though sometimes, due to too much excitement, there are things that you unintentionally forget to include in the process. So, before you miss and forget these most important things to prepare and pack, read this article before you start organising your luggage. Also, take note of all the important details. Booking your flight as early as possible won’t only reduce the hassle of the travel preparation but will most likely prepare you for budget allocation. Since airfare is probably the most expensive part of your trip, booking a flight must be one of the priorities. This will possibly let you adjust your future schedules. Also, you can save up and prepare more money if the date of your flight is already settled. One of the most important things to make your travel happen is the set of documents you need. These include your passport, birth certificates, photos, identification cards, license, plane tickets, and more. It’s also suggested or advised for you to keep your documents sealed and photocopied. Place or put them in a bag where you can easily reach for it whenever you go any time of your travel. Imagine a car without a good supply of gas, would it go far? Of course, it wouldn’t. So, if you’re planning to travel, fuel up your pocket and your wallet to make things work. It’s necessary that you establish budget planning to avoid such financial issues during your most-awaited travel. You can allocate a budget for transportation, a visit to tourist destinations, food, accommodation, shopping, and more. Listing down the places you want to visit is a must. You wouldn’t want to set foot onto a place without any idea where to go, right? You can do or conduct some research about a place you’ll be visiting or check out the best itineraries you can find. This will give you more idea on what’s waiting for you in there. Also, you’ll have more time to prepare an appropriate amount of money that you might need. You wouldn’t know the importance and the convenience of travel insurance not until you get caught with unlikely travel incidents. Travel incidents may be a cancelled flight, delayed flight, rebooking issues, luggage issues, accommodation issues, unfortunate accidents, and so on. You may want to gather advice concerning the best travel insurance package or what insurance company to consider. Travel insurance will surely make you feel more secure and peaceful during your entire travel. When travelling, especially abroad, you won’t be able to get your car with you (well, of course). The most convenient and ideal thing you can do aside from the public transportations available in the place is by riding a taxi cab. However, some places do have transportation sources for hire. It could be like a private vehicle good for one person or two, and there are some minibus hire available and best for company or group outings. It’s always advised for you to choose the best and most comfortable transportation source that will definitely make your travel more unforgettable. Travel accommodation is one of the things that really ignite the excitement of travellers of all ages. Simply because coming up with the best choice truly delivers great satisfaction and unparalleled happiness. Your accommodation will be the one to shelter you, comfort you, and give you a place to rest during your entire stay. So, better end up with the best one. Though this may be complicated sometimes, with proper research and feedback reading, you’ll surely come up to a pleasing choice. Just remember to always think your safety and security first before anything else, okay? Preparing and having an itinerary when travelling is a big help to anyone who travels. The preparation and organisation of itinerary are also a little difficult but this simple act really brings up a good result. When you travel with itinerary, you’ll more likely maximise and enjoy your time during your stay in the place. Also, this brings so much excitement the entire process of establishing or creating your very own itinerary – it absolutely adds thrill and more dose or eagerness to visit the place. Packing things up can be tiring and confusing. Since you have to decide which best outfits are best to wear or what bag to use, and so on and so forth. That’s why you must start packing as early as you can so to avoid last-minute decision-making regarding the said examples. Also, you’ll be able to check what things or stuff you’re lacking from so you’ll have more time to buy for some to include in your luggage. Just make sure to pack the necessities only. Listing down the contact information of your relatives, immediate family members, and friends and so on is understood to be very important. But don’t disregard listing down the possible contact information of the nearest hospitals, clinics, police stations, security personnel, embassy, and a well-known local in the place you’re considering to visit. This is highly advised since you’re not a resident in the place and whatever may happen to you isn’t the local’s major concern. You have to know the contact information as well as the area or address of the said departments you can count on when unforeseen incidents occur. These are the ten out of too-many-to-jot-down reminders when preparing for your most-awaited travel. Everything might be a little complicated to follow through but these are all totally beneficial to you. 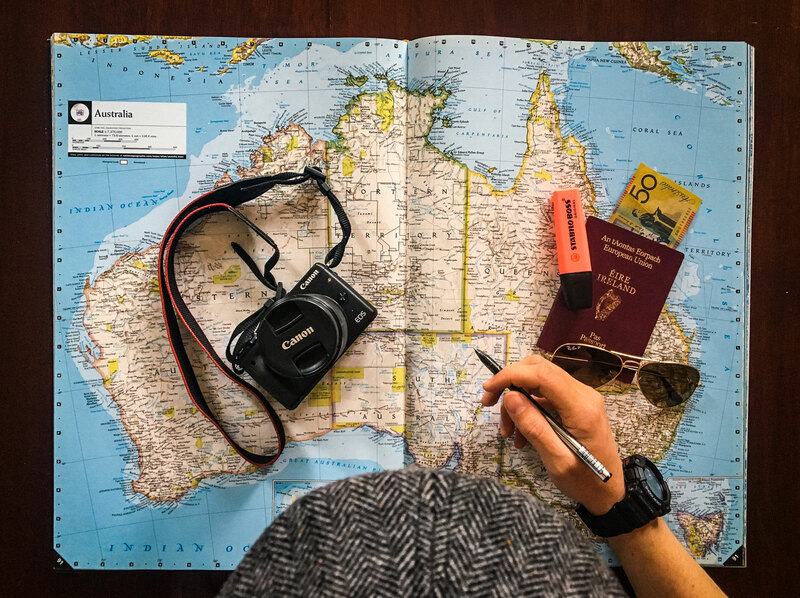 These simple tips or pieces of advice will definitely make your travel a more organised and more memorable one.